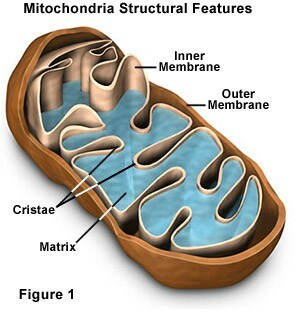 Mitochondria are membrane-bound organelles in plant and animal cells that transform energy for the cell. The energy is stored in the bonds of other molecules that other cell organelles can get to easily when they need the energy. Mitochondria occur in different numbers, depending on the function of the cell. Ex. liver cells can have up to 2000 mitochondria. Each of these membranes is a phospholipid bilayer with proteins embedded into it. Mitochondria are only partially dependent on the cell to replicate and grow. Consist of an inner membrane and an outer membrane. Range in size between 1 and 10 micrometers in length.